With its broad range of service offerings, Setur has been the biggest player in the sector since 1973. Setur runs its duty-free sales operations with 781 employees at 21 locations: Seven airports, five land border gates, eight seaports and one diplomatic store. The Istanbul Sabiha Gökçen Airport store, with some 3,800 square meters of retail space, is Setur's biggest retail location. The stores on the international departures level were renovated in 2015. In addition, a new Burberry concept store and shops selling high end watch, eyewear and bag brands were opened during the year. Setur operates in diversified areas of the tourism industry, including air ticket sales, domestic and international tours, incoming, congress and seminar events, online travel services, cruise travel, educational services abroad and visa services. Setur serves customers through five centers, 32 authorized agents and 236 online agencies. Setur is the Turkish representative of BCD Travel, which delivers corporate ticketing services to 1,250 companies in 110 countries. Setur organizes nearly 400 conferences and meetings each year, with its deep know-how in event planning. During the year, Setur was recognized for its social responsibility efforts. Its web-site engelsiz.setur.com.tr, specially designed for visually impaired visitors, was deemed worthy of the "Silver Stevie" Award at the world-renowned ''Stevie Awards,'' which recognizes excellence in business. In addition, the web site won the Bronze award at the ''International CSR Excellence Awards'' and first prize in the "NGO/Social Responsibility" category of the ''Golden Spider Awards,'' one of the most prestigious awards in the Turkish web community. 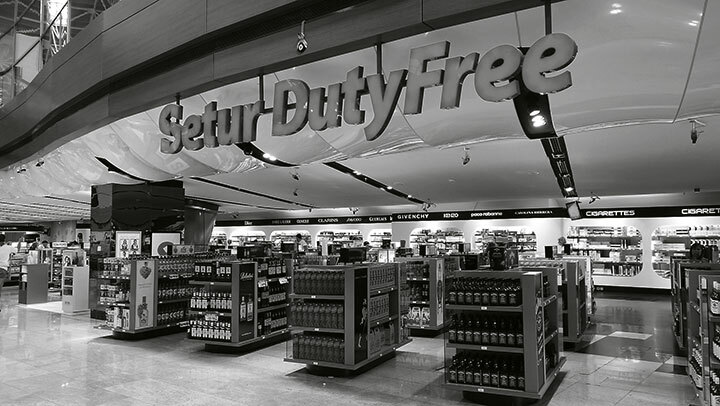 Setur started to work on the disaggregation of arrival/departure passenger traffic at its duty-free shop locations, in line with the new regulations issued by the Ministry of Customs and Trade; these efforts will continue in 2016. In 2016, Setur plans to upgrade its online platforms to reach out to a wider audience, deliver more online travel process solutions to companies, increase overseas collaborations, and further enrich its portfolio in order to continue the Company's growth.